Winks, we were instantly enamored of the brand’s sweet paper boxes, decorated with colorful fluttering fans, and the wearable options available. Eyelash shelves, these are not. A must for this collection included a safe glue option. “A lot of the companies that were making [lash] adhesives were the same ones that make Super Glue,” Allen says of the revelation they discovered during their extensive research process. 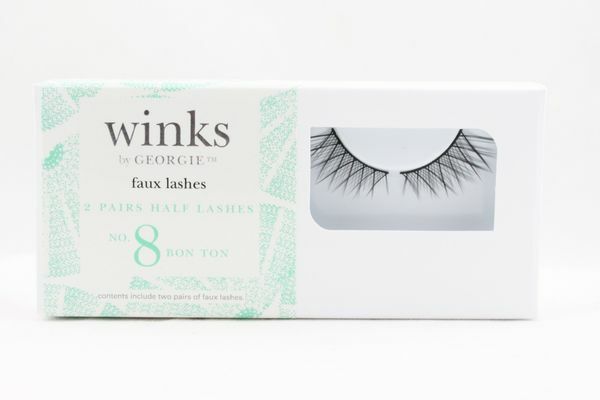 Winks by Georgie’s version uses a natural latex ingredient instead of harsh chemicals like formaldehyde (which exists in other mainstream formulas). It’s dermatologist- and opthamologist-tested and approved, as well as vegan and PETA-certified. Best Dressed at the Critics’ Choice Awards: Angelina Jolie and Jennifer Aniston Had Their Most Amazing Looks Yet!